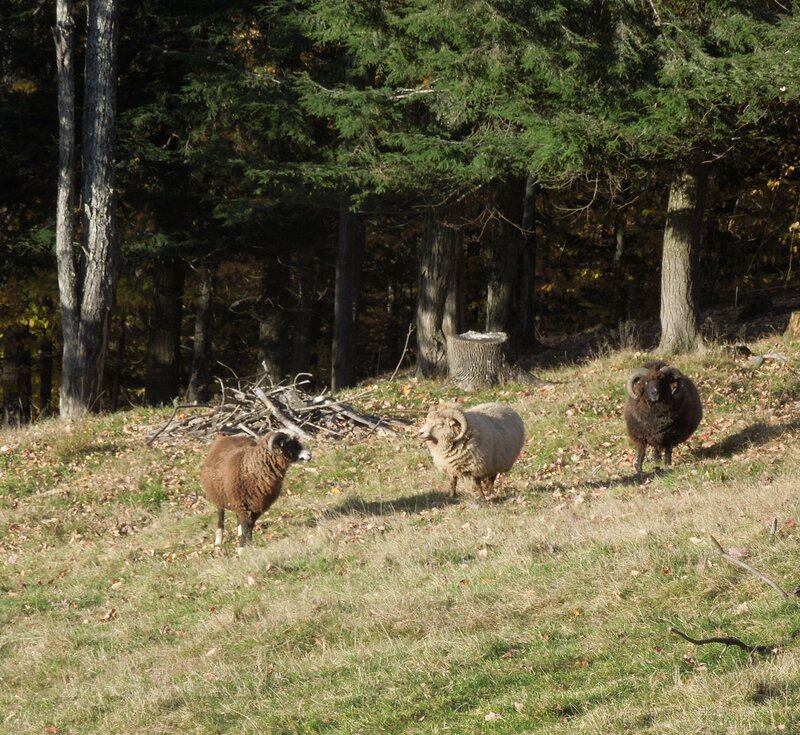 This past fall I collected about 100 pounds of Shetland fleeces from around the state. The majority was from a farm in Randolph area and it was supplemented with fleeces from both Jericho and the Bennington area. Shetland are known for their vast array of colors and patterns. Of the eleven main colors, I choose fleeces in all 11, but ended up pooling some of the pretty similar colors to get 8 distinct and gorgeous colors - all used in the shawl below (a variation on a Ravelry pattern called Walk on the Moon - I think....I'll check and revise that if I'm wrong - which used just 3 colors). 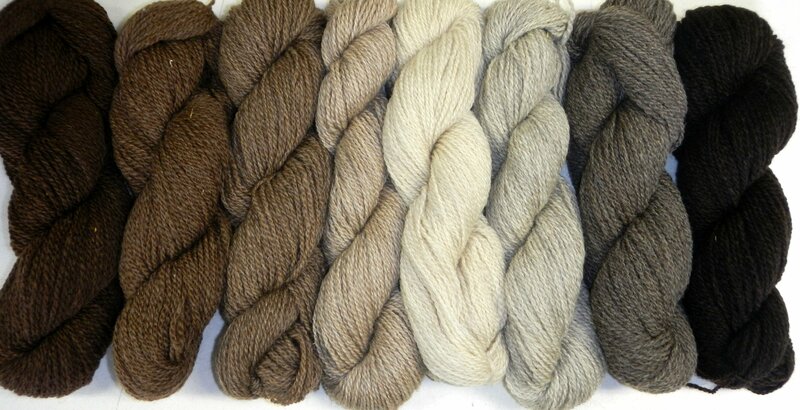 I had the fleeces spun at about 1500 yds/lb since I wanted to be sort of "traditional" with this wool in anticipation that people might want to use it in fair isle style knitting to take advantage of the colors! I used a local mill for the processing of the wool. Shetland sheep are hardy (think of the climate/elements on the North Atlantic islands they originate from!) and can produce fiber as fine as 15 microns, but typically have mid 20 micron wool. I don't know the micron count of my wool overall, but these skeins have a LOVELY hand and I would certainly put it next to my skin. Shown below is a photo of some of the original locks of the fleeces I used and some of the sheep that produced the lovely fleeces. As well as a photo of some of the sheep the fiber came from and the shawl I knit using all 8 colors of the yarn. and here is the yarn!